Purchasing a hearing device online? Audiologists are trained to undertake hearing and balance assessments, diagnose hearing disorders and prescribe treatment plans - just part of which may be the fitting of specifically selected devices,such as hearing aids. When audiologists fit hearing aids, they provide tailored counselling and communication training to ensure that you make the most of all listening situations. In order to gain benefit from hearing aids, it is important to have realistic expectations of what the instruments will do for you. This is because some hearing losses cause a simple loss of volume, whereas others cause processing disorders that result in sounds like speech never sounding clear, regardless of which hearing is fitted. Each individual should understand their hearing loss before purchasing hearing aids so that they know what to expect. Hearing aids do not immediately change how an individual hears – they only change the sound that reaches the ear. It takes time and specialised training for the brain to learn to interpret the sounds delivered by a hearing aid. Some individuals receive more benefit than others, depending on the characteristics of the hearing loss. Audiologists carry out a number of different tests to understand the characteristics of the individual hearing loss you have, and the results are explained to you and reported to the medical doctor when further medical intervention is required. Those results guide any decisions the individual and his or her audiologist will make about if, or which, hearing aid is the best solution for your hearing needs. Purchasing hearing aids without a professional consultation may be cheaper than acquiring them through the professional services of an audiologist, but the essential component that leads to successful rehabilitation will be missed out. Some internet based companies recommend bypassing the audiologist and determine by themselves if a hearing aid is needed. Buying a hearing aid online is like buying braces for your teeth online....you probably wouldn't consider it. Third parties or buyers agents are on the internet, offering to find an audiologist for you and take your money for hearing aids. We strongly recommend that you do not pay any third party for healthcare, including any devices or services associated with your hearing. You probably would never decide on a health treatment and pay a third party for it before consulting your medical doctor. Hearing is part of your health - treat it respectfully and seek a professional opinion BEFORE embarking on any course of action including paying online for something you may or may not need. We suggest that you consult an audiologist first and discuss all available treatment options before deciding which approach is best for you. The consultation fee you pay for the services of an audiologist could prevent you wasting thousands of dollars on hearing aids that are not suitable for you. 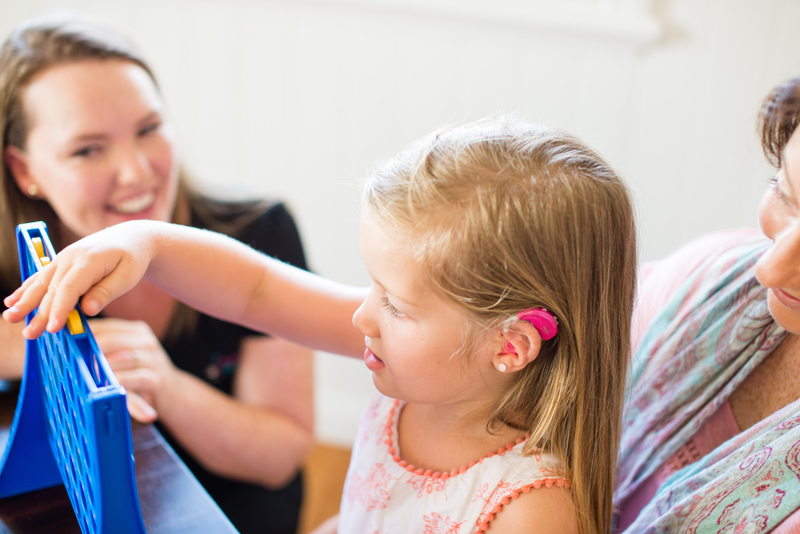 Independent audiologists from all across Australia are able to select hearing devices from all suppliers in Australia, including those available on the internet. We recommend you discuss which solution is best for you with your independent audiologist.